Anyone who knows me knows that two of life’s greatest pleasures for me are books and coffee – and I have a definite weak spot for any place that can combine both. 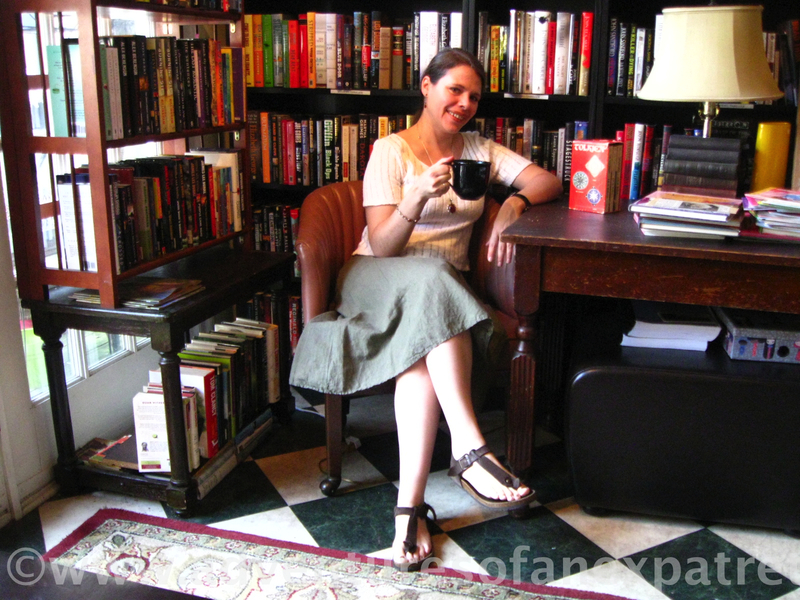 Whether they be neighborhood coffee shops with shelves of second-hand books for customers or bookshops with couches and caffeine on demand, be they big or small, sophisticated or down-to-earth, it’ll be hard to drag me back out of the door once I find them. In any town I’ve ever visited or city I’ve ever lived in, I generally found them all within a matter of days or even hours. And what better and cozier thing is there to do on a snowy (or rainy) day? 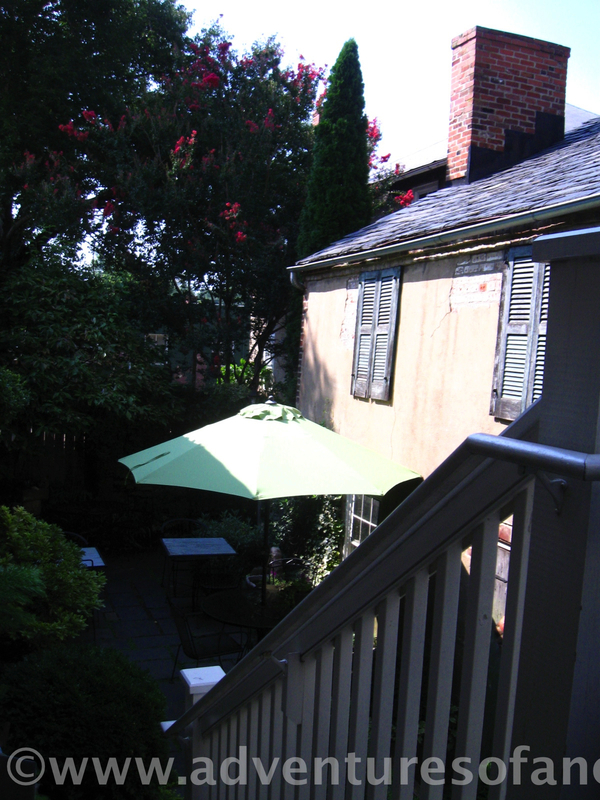 As you can see, when I first discovered the Griffin Bookshop and Coffee Bar, we were at the tail end of summer. The trees were still cloaked in brilliant, living green and, if anything, I was looking for a place to escape the heat of the late-August sun. 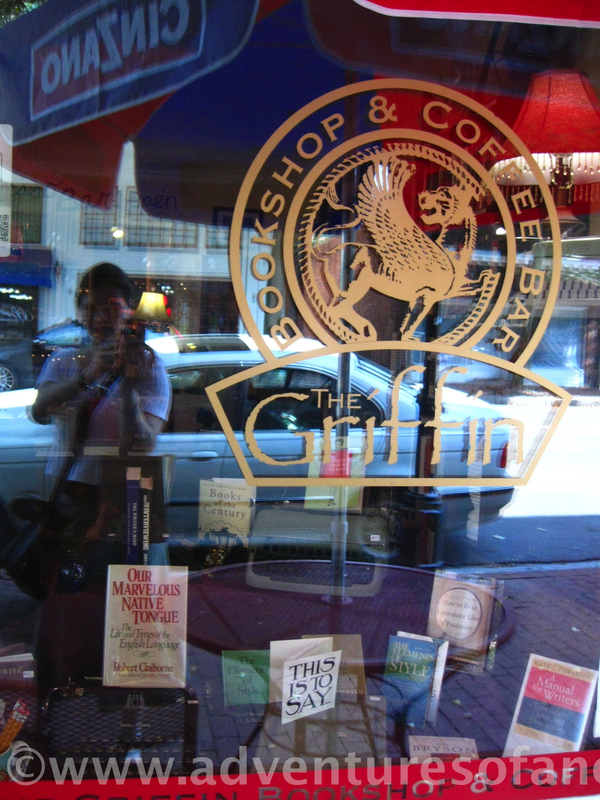 Still, on this snowy March day, I would love to be curled up in a corner of the Griffin with a steaming cup of coffee, surrounded by its seemingly endless shelves of books. 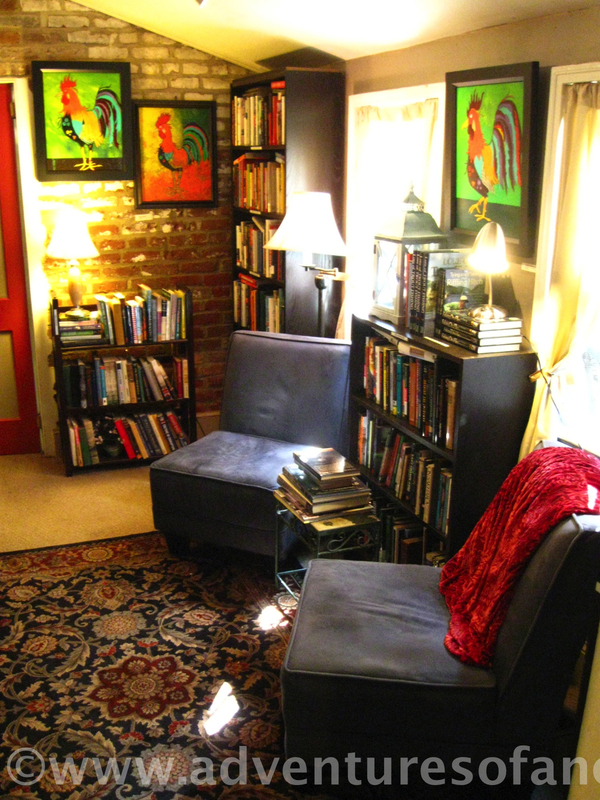 The front room has tables devoted to subjects ranging from new fiction to local interest. In the back, behind the coffee-bar, a further two rooms are stuffed to the ceiling with shelves where books are arranged alphabetically and by subject-matter, as neatly as in any library. Yours Truly enjoys two of her favorite things in the world: a cup of coffee and a nearly endless supply of reading material. The feeling, however, is more as if I’d wandered into the private reading rooms of some wealthy intellectual who has, inexplicably, given me the run of his home for the day. Here’s wishing you all somewhere as cozy to wait out these last days of winter. Until next time, stay warm and keep a good book close to hand! 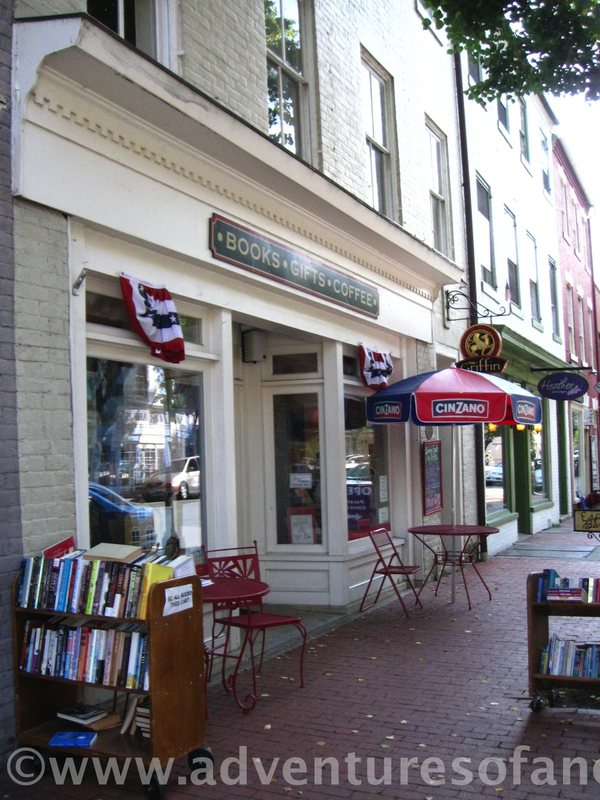 This entry was posted in Explorations, Good Places for Bad Weather and tagged books, café, Coffee, coffee shop, Fredericksburg, reading, Snow, Virginia. Bookmark the permalink.